What better time to go a bit nuts than now! Just before Christmas, nuts are probably in extreme use in many kitchens around the globe. Many delicate tasting cookies, cakes or biscuits are given the extra texture with a handful of yummy and crunchy nuts. Nuts have been vital food for humans all around the world for thousands of years. With good reason too! Nuts are good and healthy for you. Most people think that nuts are high in calories and fat... and of course they are right! Nuts are calorically dense and just 15 cashews will deliver approximately 180 kcal. If you are anything like me you will find it very hard not to overeat these tasty snacks. However, in moderation, nuts can definitely be a part of a healthy diet. They are packed full of protein and are a good source of healthy fats, not to mention all the vitamins (including antioxidants) and minerals they contain. Nuts are cholesterol-free and contain healthy, unsaturated fats which can help lower the risk of heart disease. Nuts also provide magnesium, which helps maintain bone structure. They contain zinc for growth and wound healing, and manganese, which protects against free radicals. All nuts are a good source of vitamin E, an important antioxidant. Like all plant foods, they are high in fiber and phytochemicals—both of which help protect against cancer and other chronic diseases. 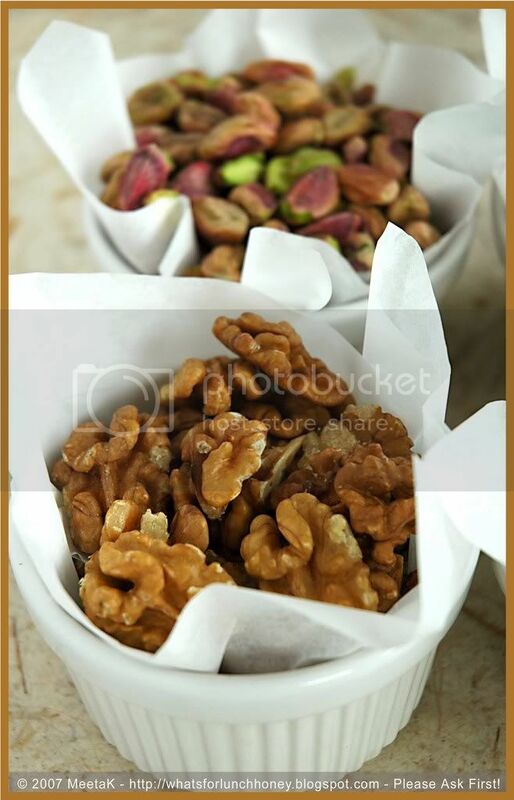 Nuts are dried seeds and are very versatile in the kitchen. They can be eaten raw, toasted, pureed, or used as flour. There are many different types of nuts—almonds, Brazil nuts, cashews, hazelnuts, macadamia nuts, pecans, pistachios, walnuts, and pine nuts. Peanuts and soyabeans are often considered as nuts, they are in fact legumes. 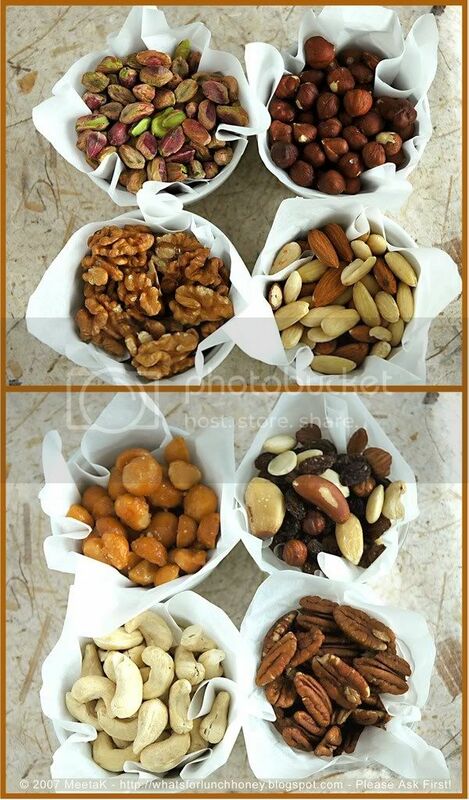 Eating a broad range of nuts is best as they each have specific health benefits. The list of health benefits attached to each individual nut is endless. In this article, I have taken a few of the more common nuts and presented you with a comprehensive Nutology, which you can always refer to in the future. It obviously goes without saying that nuts should not be eaten by anyone with an allergy to them. It is recommended that if you have a family history of nut allergies you should avoid nuts when pregnant and should not give them to your children to eat in their early years. Peanuts and tree nuts are both on the list of the eight most common allergens. Children are more likely to develop allergies if their parents or siblings suffer from allergies to legumes or nuts, but even those with no family history of allergies can be affected. Nuts are sold in many different varieties and forms. Whole nuts, still in their shells are less expensive and will last up to a year without going rancid. Be sure to keep them in a cool and dry place. Shelled nuts may last longer if they are kept in the refrigerator. If you would like to store them longer than six months, consider putting them in the freezer. You can purchase nuts sliced and chopped. This may save you some work but it will also ensure that those nuts will go bad faster. Whenever possible, purchase whole shelled nuts and cut them up yourself. Always discard any nuts that look moldy. 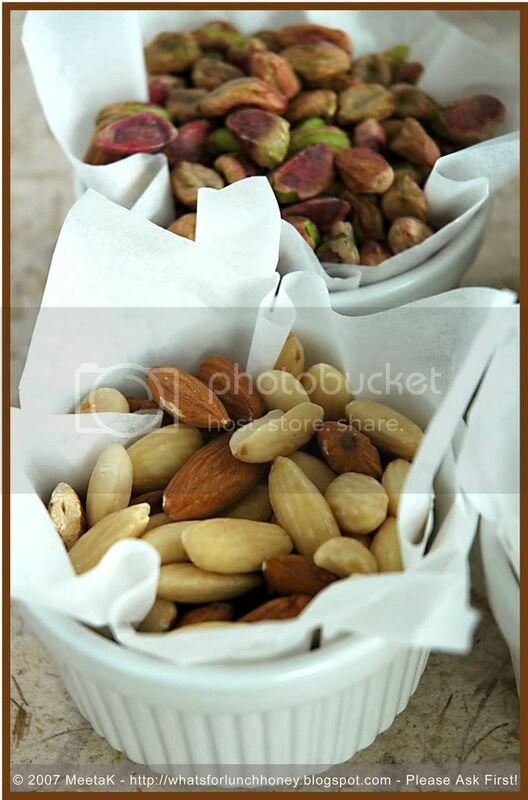 Choose tree nuts more often than peanuts they are less likely to have aflatoxin, a potent human carcinogen. Delicious nut butters can be made from pecans, walnuts, almonds and many others. The best approach is to reap the health benefits of eating nuts but not add excessive calories to your daily intake. So instead of simply adding nuts to your diet, eat them in replacement of foods that are high in saturated fats and limit your intake of these tasty treats to 1 to 2 oz per day . For instance, instead of adding chocolate chips when making cookies, sprinkle on some nuts. Or instead of making a deli meat sandwich, try a nut butter toast. 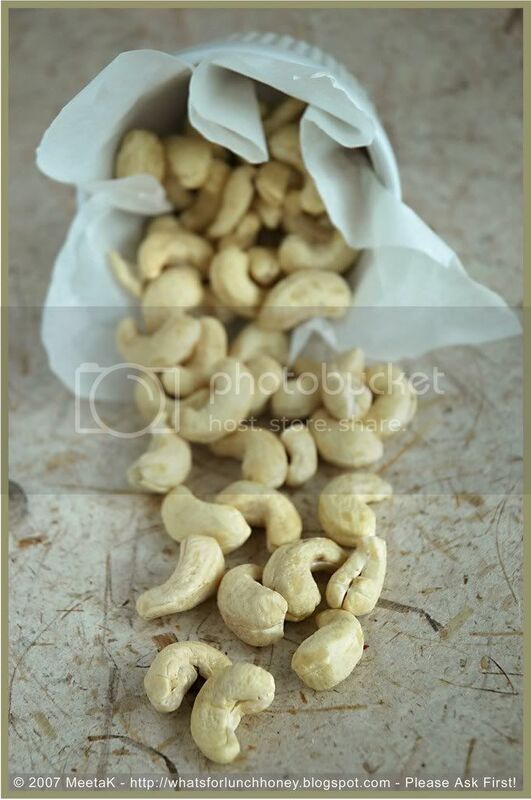 Cashew nuts are the kidney-shaped seeds that adhere to the bottom of the cashew apple, the fruit of the cashew tree. These trees are native to the coastal areas of northeastern Brazil. While cashew apples are not appreciated in the United States, they are regarded as delicacies in Brazil and the Caribbean and India. They are pure in color and delicate in taste with a lovely smooth texture. Cashews are never sold in their shells, you will always find them pre-shelled in stores. This is because the interior of their shells contains a caustic resin, known as cashew balm, which must be carefully removed before they are fit for consumption. This caustic resin is actually used in industry to make varnishes and insecticides. Cashews are rich in magnesium, copper, iron, zinc and biotin. They contain the lowest percentage of fats compared to most nuts and provide high levels of oleic acid (about 50% of the total fat in cashews), the same fat found in olive oil. Eighteen medium cashews count as one serving (30 grams). Do not eat more than three servings per week, unless you need to gain weight – then you can add two more servings to your weekly intake. Always ensure that you are replacing other dietary fats. By simply adding the cashew nuts to your diet, you will add many extra calories to your diet. Generally you will find cashews available in prepackaged containers as well as bulk bins all year round. Make sure that the bins containing the cashews are covered and that the store where you buy the nuts has a good product turnover. This will ensure its maximal freshness. When purchasing cashews make sure that there is no evidence of moisture or insect damage and that they are not shriveled. If possible, smell the cashews to ensure that they are not rancid. Due to their high content of oleic acid, cashews are more resistible than most other nuts.However, they should still be stored in a tightly sealed container and placed in the refrigerator. Here they will keep for about six months. It is also possible to put them in the freezer, where they will keep for about one year. Cashew butter should always be refrigerated once it is opened. Hazelnuts are a very important nutritious food item in a well-balanced diet. They are valued for their ultra indulgent flavor and upscale appeal. Furthermore, they are one of the most nutritious nuts. Hazelnuts are a rich source of dietary fiber, vitamin E, magnesium, and heart healthy B vitamins and can give and food a nutritional boost while adding the indulgence and satisfaction that you crave. They contain a variety of antioxidants (such as vitamin E) and a host of phytonutrients that benefit the immune system. These nuts are also a good source of protein, which is essential for growth and repair of the body's cells and dietary fibre, which helps the movement of the digestive tract. Hazelnuts also contain iron, which is essential for red blood cell function and enzyme activity, calcium to help build bones and teeth and potassium, which helps regulate the body's fluid balance. Although hazelnuts are relatively high in fat, they contain no cholesterol. Hazelnuts are one of the best nut sources of heart healthy monounsaturated fatty acids (MUFAs) per serving and have the lowest percentage of saturated fat (along with pinenuts and almonds). All filberts are hazelnuts, but not all hazelnuts are filberts, which are the English variety of hazelnut. The name filbert is thought to derive from St. Philibert, a late-seventh-century Frankish abbot whose feast day in late August falls during the ripening period of the nut. When selecting hazelnuts, look for fresh flavor. There should not be even a hint of rancidity. Storing shelled hazelnuts in an airtight bag or container in a freezer will keep them fresh and flavorful for a year or more. 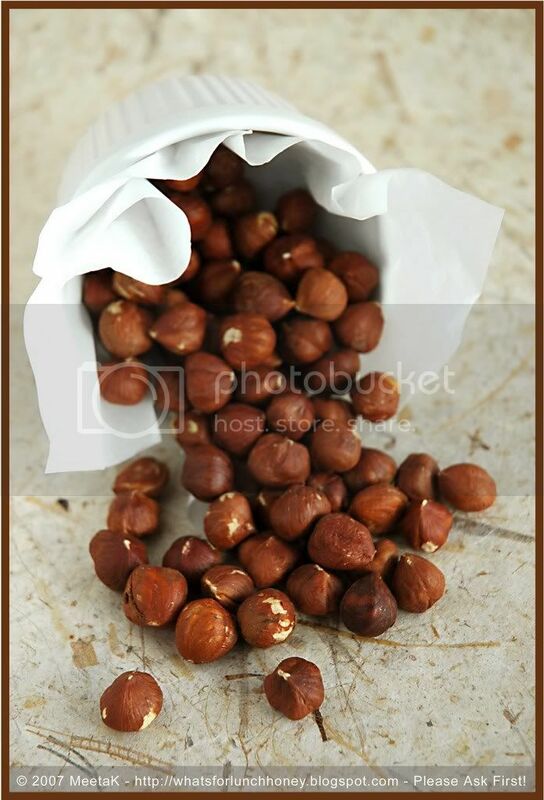 Alternatively you can store hazelnuts in the refrigerator in an airtight and odorless container. Nuts should be allowed to warm to room temperature before using in baking or cooking applications. Properly stored hazelnuts will provide wonderful flavor and texture to any food and can be used as a substitute in recipes that call for nuts. Although I love the pistachios, currently I have discovered a huge passion for these simply exquisite nuts. Of the many benefits surrounding the macadamia nut, the greatest perhaps is that they taste so delicious while being good for you. Macadamias are considered the world’s finest nut and their delicate flavour, versatility and crunchy texture make them a delight to consume. 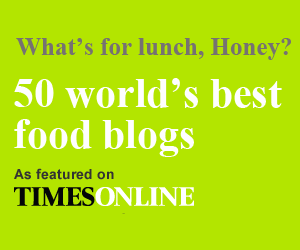 They also contain a range of nutritious and health promoting elements and form an important part of a healthy diet. A balanced diet containing macadamias promotes good health, longevity and a reduction in degenerative diseases. Macadamias contain high levels of protein, which are an essential component of our diet and in our bodies form muscle and connective tissues, hair and nails, are part of our blood and act positively on many aspects of our health. They also contain significant amounts of fibre and the B-complex vitamins. These nuts are a high-energy food and contain no cholesterol. The natural oils in macadamias contain 78% monounsaturated fats ("good fats"), the highest of any oil including olive oil. Flavenoids (a phytochemical) and vitamin E, which are potent antioxidants and can help protect against cancer and heart disease are all part of a Macadamia nut. Unsalted macadamia nuts contain no cholesterol and are low in sodium and saturated fats. The macadamia nut is one of the few foods that contain palmitoleic acid, a monounsaturated fatty acid. In a recent study, indicators suggest the palmitoleic acid may actually aid in fat metabolism, possibly reducing stored body fat. Macadamia nut oil contains Omega 3, known to reduce the risk of heart disease and high blood pressure. Shelled macadamia nuts are about the size of a marble . They have a rich, sweet, delicate, buttery flavor and are often enjoyed in both desserts and savory dishes. As the shells of the macadamia are hard to crack they are available in the stores always shelled, either raw or roasted, salted or unsalted. They are readily available in the nut section of most all general grocery stores. When selecting macademias go for the lighter colored ones. They will darken with age as the inherent oil turns rancid. Macadamia nuts have a very high fat content and must be stored carefully to avoid rancidity. 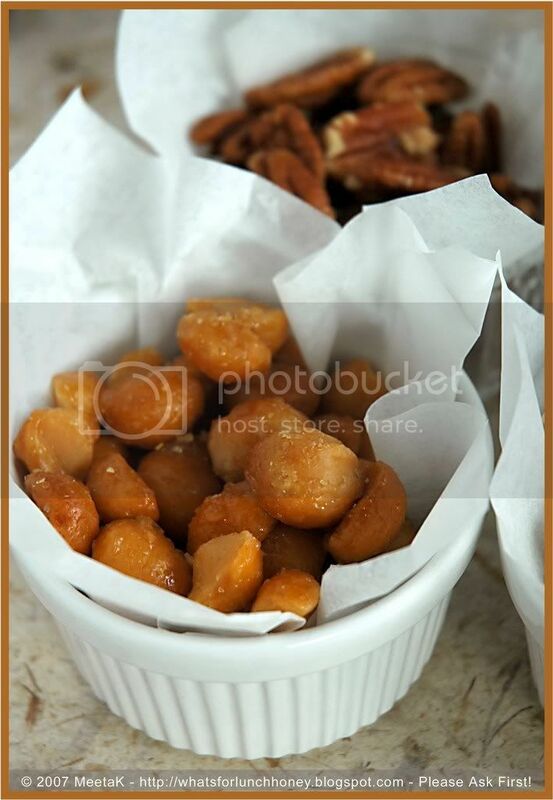 Refrigerate unopened nuts in an airtight container up to six months or freeze up to a year. Once opened, refrigerate and use macadamia nuts within two months. Fortunately for us, these lovely, delicately flavored and highly versatile nuts are available in the stores and markets all year round. I often think what would my cooking be without these divine nuts. Good thing they are a healthy addition to the dishes I prepare. Almonds are a rich source of magnesium, potassium, manganese, copper, calcium, vitamin E and selenium. Unblanched almonds are high in fiber leading to improved colon function and health. Containing high levels of healthy monounsaturated fats, almonds help in reducing cholesterol levels and improving cardiovascular health. Although almonds are a high-fat food they are good for the health. They are high in monounsaturated fats, the same type of health-promoting fats that are found in olive oil, which have been associated with reduced risk of heart disease. In addition to their cholesterol-lowering effects, almonds have the ability to reduce heart disease risk. This may be due to the antioxidant action of the vitamin E found in the almonds. The flavonoids found in almond skins teamed up with the vitamin E found in the nut, create more than double the antioxidant punch. Furthermore, almonds are a protein powerhouse. A quarter-cup contains 7.62 grams-more protein than is provided by the typical egg, which contains 5.54 grams. Almonds still in their shells have the longest shelf life. Look for shells that are not split, moldy or stained. Shelled almonds that are stored in an sealed container will last longer than those that are sold in bulk bins since they are less exposed to heat, air and humidity. If purchasing almonds in bulk from these bins, make sure that the store has a quick turnover and that the bulk containers are sealed well in order to ensure maximum freshness. Look for almonds that are similar in color and not limp or shriveled. Smell the almonds. They should smell sweet and nutty. If their odor is sharp or bitter, they are rancid. As almonds have a high fat content, it is important to store them properly in order to protect them from becoming rancid. Shelled almonds should be stored in a tightly sealed containers and placed in a cool dry place away from exposure to sunlight. Keeping them refrigerated will protect them from rancidity and prolong their freshness. Almonds kept in the refrigerator will keep for several months, while if stored in the freezer, almonds can be kept for up to a year. Shelled almond pieces will become rancid more quickly than whole shelled almonds. Almonds still in the shell have the longest shelf life. For me the queen of nuts. I love the wonderful purple, green color of the nuts protected by the slightly cracked shell. They are delicately sweet and a perfect snack food. These nuts are very popular in the Indian and Mediterranean cuisine. The pistachio nut is a member of the cashew family, and like most nuts, pistachios are cholesterol free. Furthermore, pistachios are packed with nutrients: a one-ounce serving of pistachios (about 45 nuts) contains over 10% of the daily requirements of dietary fiber, magnesium, copper, phosphorous, and B vitamins. Pistachios are cholesterol-free and high in monounsaturated fat. The fat in pistachios contains no cholesterol, which means that they will help protect from heart disease. The copper, magnesium, and B vitamins in pistachios all strengthen your immune system, making your body fit. Pistachios are rich in potassium, which helps regulate the body's fluid balance and phosphorus - for bones and teeth and magnesium. They are also a good source of vitamin B6 and thiamine, which enhances energy and promotes normal appetite. These nuts also have a relatively low calorie value when compared to other nuts and are high in fibre and low in saturated fat. Furthermore, they are also a very good source of protein. When selecting pistachios make sure you go for those that have split shells. Nonsplit shells usually contain immature kernels and should be discarded. Shelled pistachios are available in vacuum-packed jars or cans. Store in an airtight container. Pistachios tend to draw moisture from the air, and may otherwise lose their crunch. 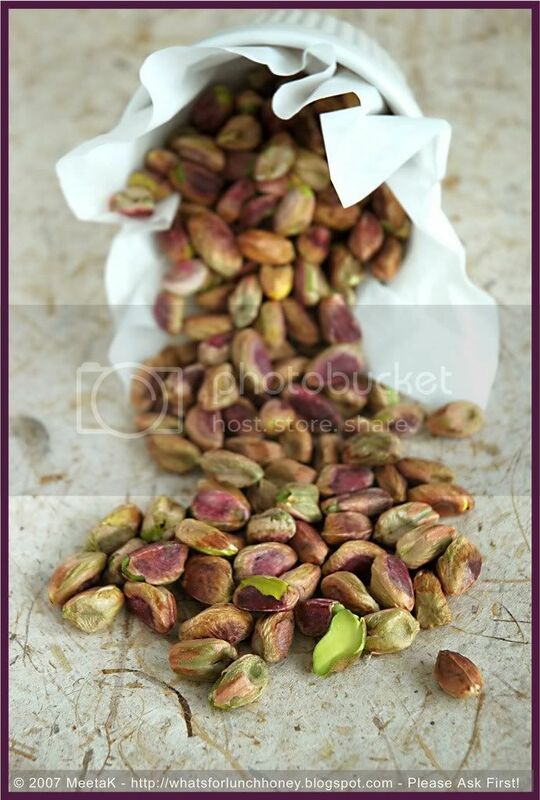 Kept in the refrigerator or freezer, pistachios can be stored for as long as a year. To restore crispness to pistachios that have lost their crunch, gently toast them on a low heat in the oven. Mellower than the walnut Pecans are simply perfect to snack on and can be used in many sweet or savory dishes. Pecans contain an abundance of nutrients (over 19 minerals and vitamins) including folic acid, vitamin A, calcium, magnesium, copper, potassium, phosphorus, manganese, vitamin B and zinc. Like almonds and walnuts, pecans provide heart-healthy properties by reducing total blood cholesterol, reduce LDL cholesterol, and create clearer arterial flow. They are a good source of protein and unsaturated fats. A diet rich in pecans can lower the risk of gallstones in women and the antioxidants and plant sterols found in pecans reduce high cholesterol by reducing the "bad" LDL cholesterol levels. A serving of pecans (30g) provides about 25 percent more oleic acid than a serving of olive oil (one tablespoon). They are cholesterol free and sodium free. Researchers have confirmed that when pecans are part of the daily diet, levels of bad cholesterol in the blood drop. Pecans get their cholesterol-lowering ability from both the type of fat they contain and the presence of beta-sitosterol, a natural cholesterol-lowering compound. Eating 1-2 ounces of pecans a day, when its part of a heart-healthy diet, can reduce the risk of heart disease. When buying pecans, look for plump pecans that are uniform in color and size. 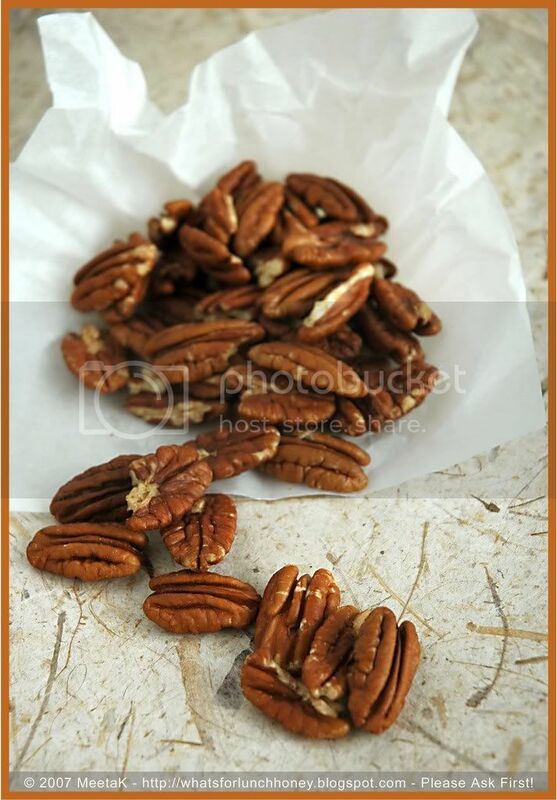 Shelled pecans can be kept in the refrigerator for about nine months and for up to two years in the freezer. Pecans can be thawed and refrozen repeatedly during the two-year freezing period without loss of flavor or texture. Airtight containers are best for storing pecans in the refrigerator and sealed plastic bags are best for storing pecans in the freezer. The regal and delicious walnut is such a perfect way to add extra nutrition, flavor and crunch to a meal. Walnuts are highly revered for being a great source of omega-3 essential fatty aids. These fatty acids have been shown to yield numerous health benefits: protecting the heart, improving cognitive function, and reducing inflammatory effects of asthma, eczema, psoriasis, and rheumatoid arthritis. Walnuts contain ellagic acid, an antioxidant compound that provides cancer-fighting and immune system boosting properties. Adding walnuts to the diet can help to improve cardiovascular health. Walnuts are an important source of monounsaturated fats-approximately 15% of the fat found in walnuts is healthful monounsaturated fat. Walnuts and pecans have the highest antioxidant content of the tree nuts, with walnuts delivers more than 20 mmol antioxidants per 3 ounces (100 grams). Walnuts are unique among nuts because the fat in walnuts is primarily heart-healthy polyunsaturated, the source of important omega-3 fatty acids. Studies indicate that omega-3s lower cholesterol and protect against heart disease and stroke. When purchasing whole, unshelled walnuts, choose those that feel heavy for their size. Their shells should not be cracked, pierced or stained, as this is often a sign of mold development on the nutmeat. Due to their high polyunsaturated fat content, walnuts are very perishable and care should be taken when storing them. Shelled walnuts should be stored in an airtight container and placed in the refrigerator, where they will keep for six months. I the freezer they will last for one year. Unshelled walnuts should preferably be stored in the refrigerator, although as long as you keep them in a cool, dry, dark place they will stay fresh for up to six months. This is your Nutology is a nutshell! In future if you would like to refer to any of these you will find each type of nut categorized under "The Know Hows of Food" on the right sidebar. 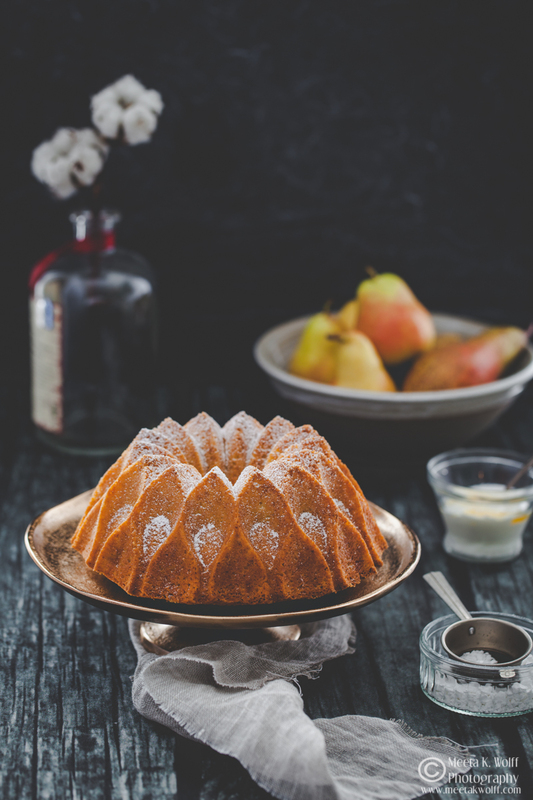 I hope you find it helpful for your baking, cooking or simply snacking satisfaction. I'd like to thank Hilda of Saffron & Blueberry for her sweet and fantastic package. Hilda these are your pecans LOL! After reading this post Hilda wrote to me and generously offered to send me some Pecans! I was thrilled - being a Daring Baker I guess Hilda knows how someone might feel a great emptiness when a certain product or item is not readily available! Thanks sweetie! I was scrolling down and each tile i saw a pic if a different nuts, wanted to have them. Excellent writeup and lovely pics. Very informative. Love all nuts. First time I liked your writeup more than your pics:) hehehe..but that just means the pics are great, and the writeup is even better!! 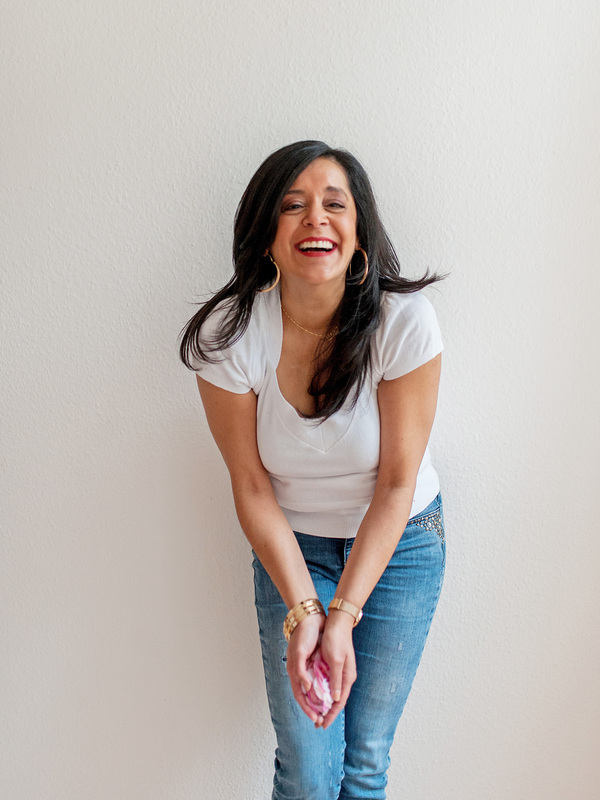 This has to be one of my favourite posts all year, Meeta. Nuts are my absolute favourite thing in the whole World. Salted Pistachios for Ice-cream. Hazelnuts with milk chocolate. Great photos too. Thank you, Meeta. 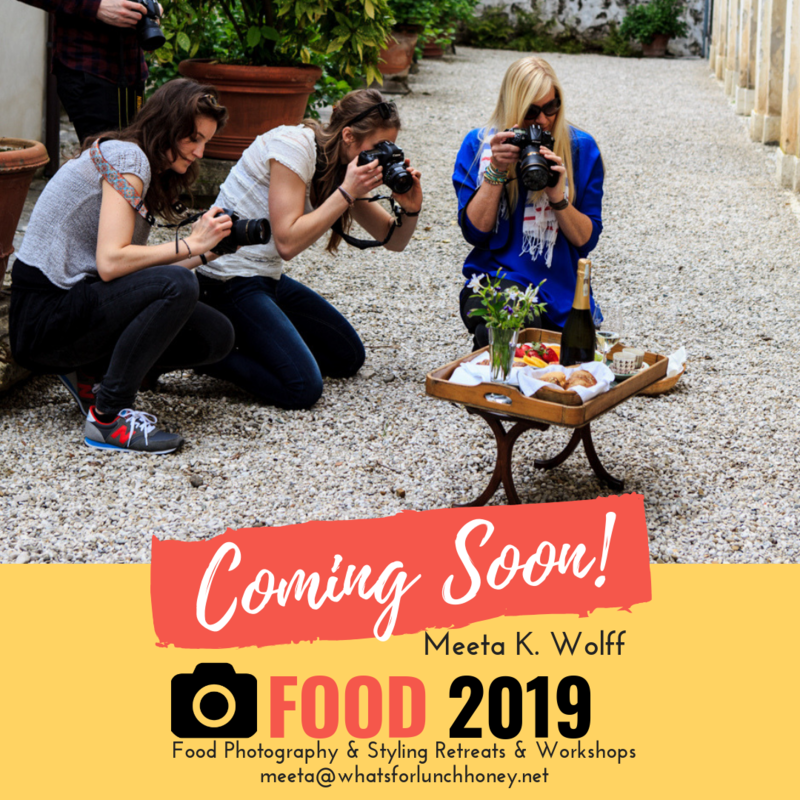 Congratulations on the nomination for best photography award at wellfed, you totally deserve it. Nuts are my favorite snack, and I'm thrilled that I returned from Texas with a big bag of pecans from my grandparents' farm. Great post. And congrats on your nominations!!! Thanks folks - this was an extensive post and took a lot of hard work. Glad you all liked it. HC, thanks - I oo was craving when writing this one up. Bee/Jai - *Evil Grin back* yessss - there might just be something coming your way soon LOL! Mansi - Cool - the write up took a lot of time and consulting my books. Glad it worked for you. Graeme, you made my day with that comment!! Now I am craving for all the stuff you mentioned. 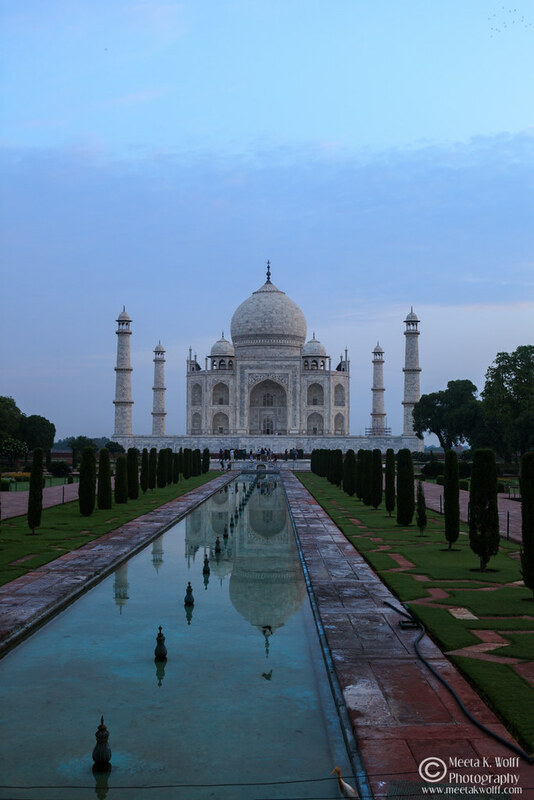 Priya - thank you for stopping by. Hope things are going well for you. Lisa - Oh nice - pecans fresh from the farm. Heaven, Thanks for the motivation. Very informative write-up, Meeta! And your pics look gorgeous, like always! What a great post, Meeta!! This is so informative, and the photos are stunning. What a hard and great Post!!! It must have taken you hours to collect the info and write, plus the pictures are simply beautiful... as always!!! I Just love Nuts in general... all of them! I'm bookmarking this post and reading it carefully. Thanks so much ladies. Glad you liked the post. I really was a bit of work putting this one together. I really enjoyed reading this and seeing the wonderful accompanying photos. All the ingredients in it look great-- and good idea to make this with Cashew Nuts! Really like the your blog, thanks!! @Tina- I normally get my Cashews from NutsOnline-- I've looked a fair bit and they seem to consistently have the best prices.